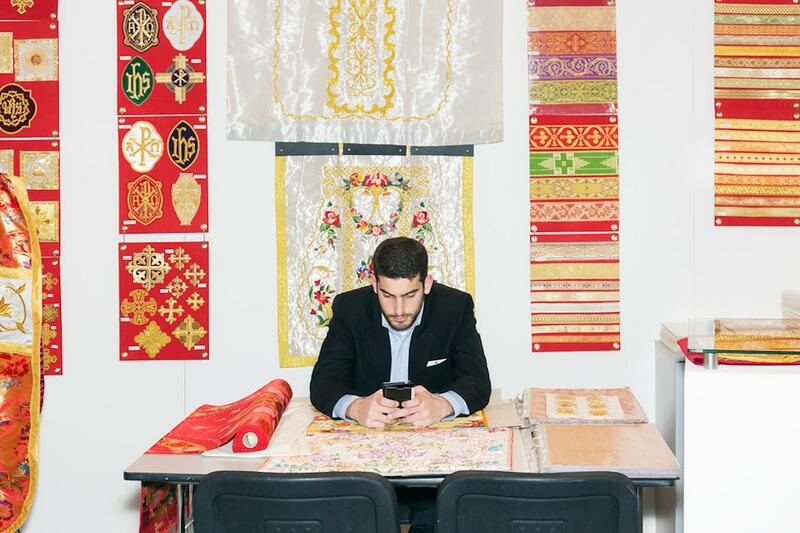 Louis De Belle photographs the Koine expo in Vicenza, Italy, in his book, Besides Faith. Seraphic vendor. A vendor surrounded by crucifixes. 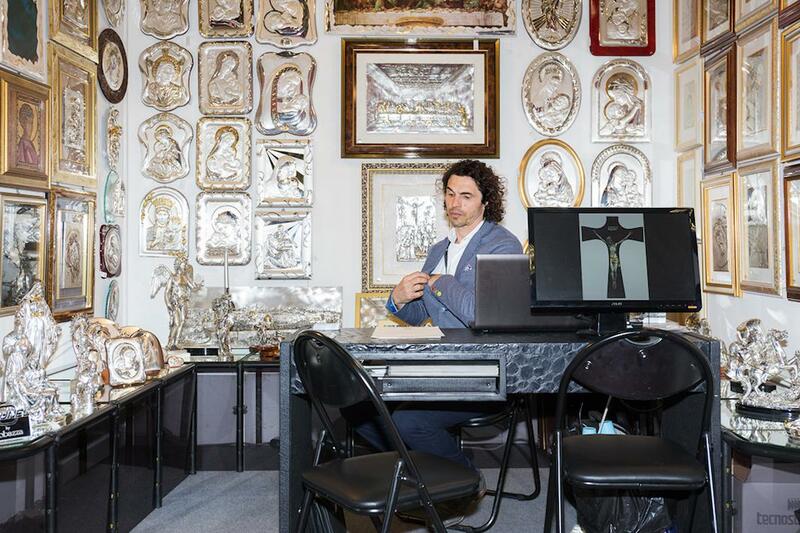 Louis De Belle grew up in the Catholic Church, and he’s always been fascinated by the theatrical accessories—the precious clothing, the service items, the countless devotional objects—that lend the institution some of its power. Curious to explore the business behind the ecclesiastical supplies, De Belle attended the 16th edition of the Koine exhibition, a trade show in Vicenza, Italy. 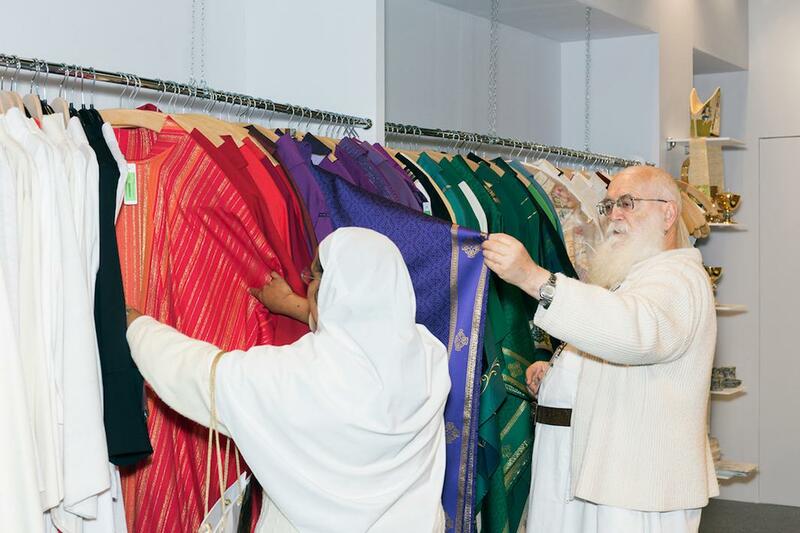 This past year, it drew 13,000 visitors, including priests, nuns, and other church devotees from more than 65 countries. His images are collected in a self-published book, Besides Faith. 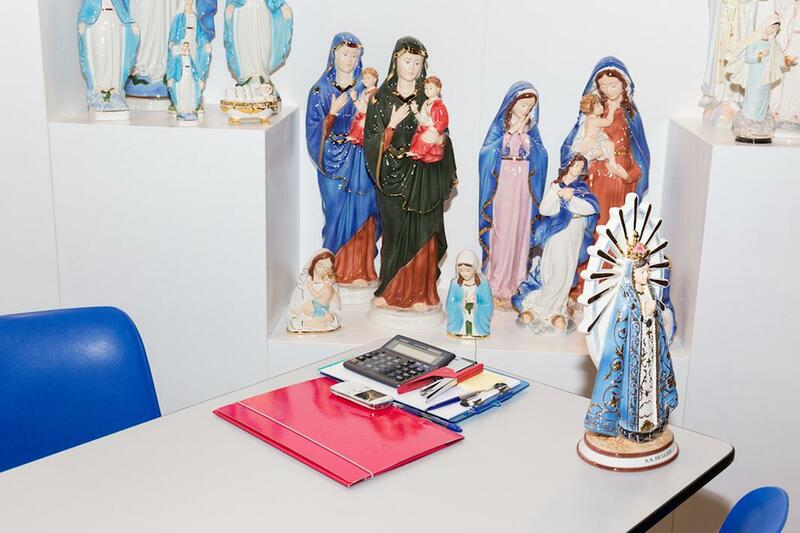 “Trade fairs are big shows and, in my opinion, religion is nothing less than that—oh a great big show, which survives by means of marvelous representations and memorabilia from Caravaggio till the electronic rosary,” he said via email. Deposition I. 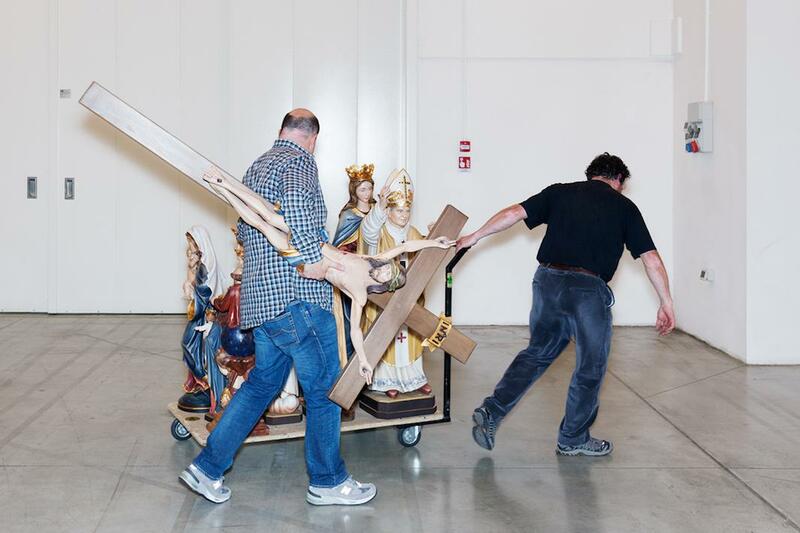 A crucifix carried away together with a former pope and other statues. Saint Pio 3D. 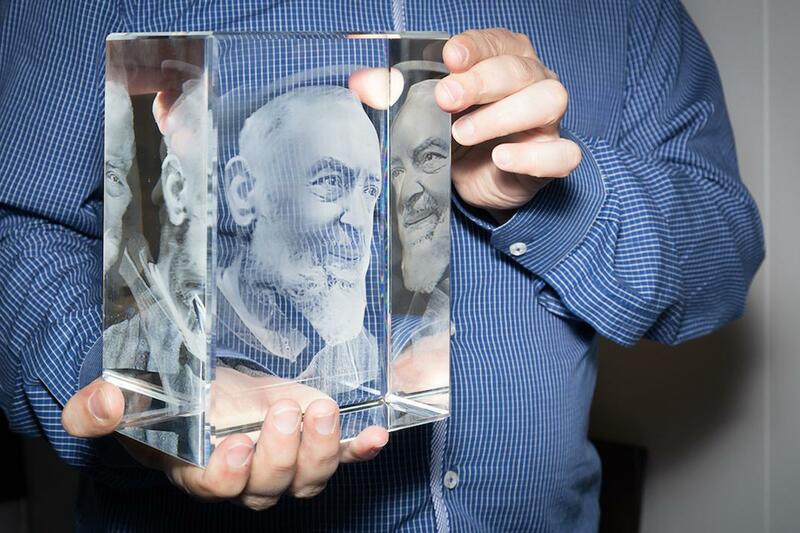 A 3-D figure of Saint Pio in a glass block. Adoration. Office stationery adored by Madonnas. De Belle attended the show for all four days, from morning until evening. 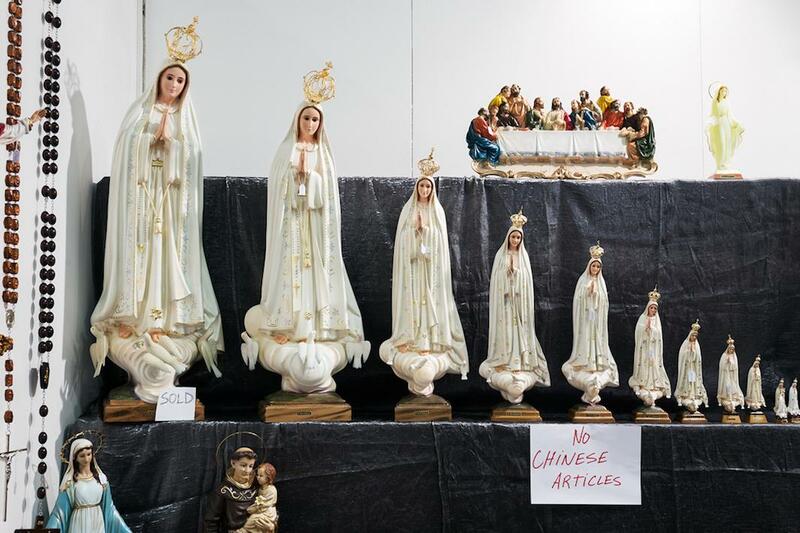 As he wandered the expo, perusing the stalls of the 347 exhibitors, he looked for “unorthodox juxtapositions” between the expressions and behavior of the attendees and the objects, stripped of their usual religious context, on display. He found that using a strong flash created an aesthetic that accentuated the otherworldly atmosphere. “I knew I was facing a controversial topic. Hence I tried to be as careful as possible, both in terms of what I eventually selected for the series and what my conceptual approach was,” he said. Sober vendor. A vendor surrounded by silver plated images. The one and only. A multitude of baby Jesus figures. Left: Deposition II. An agonizing crucifix deposited with an electric screwdriver. 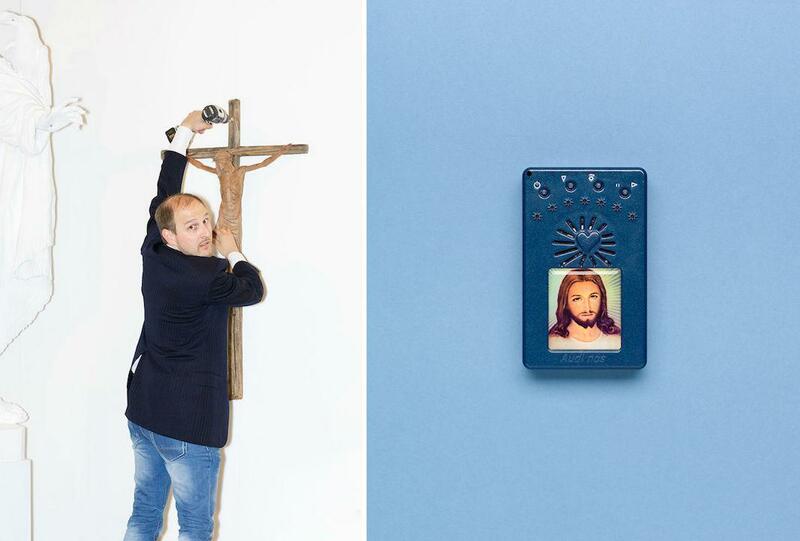 Right: Electronic rosary. De Belle identifies as agnostic, and though he wanted to communicate “a bit of irony and sharpness,” his intention, ultimately, was to observe—not to judge. You can follow De Belle on Instagram. Madonnas. Madonnas in order of size. Bored vendor. A vendor on the phone.